Hello folks, welcome back to Hockeybird. 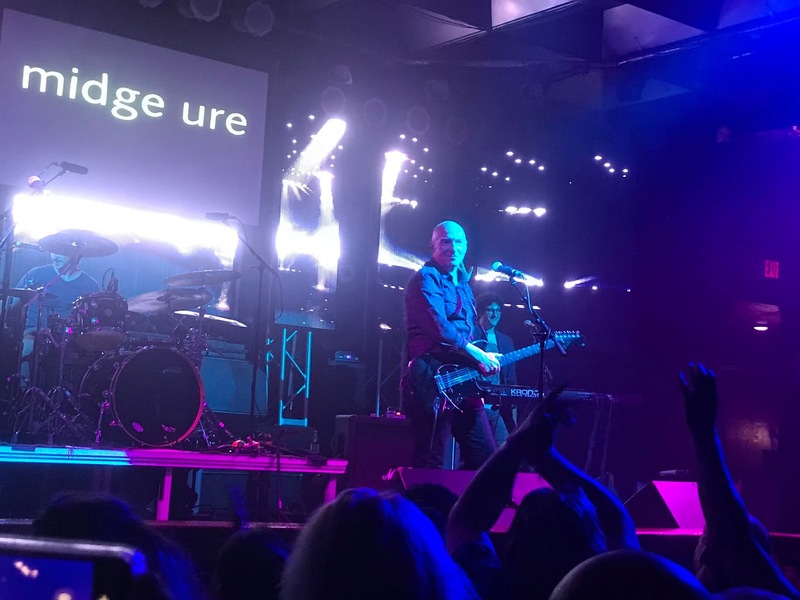 This show is quite special, On Friday, September 14th 2018 I had the privilege of interviewing Paul Young & Midge Ure before their show at the Culture Room in Ft. Lauderdale, Florida. Since I moved to Florida in 2004 we spent all our time working and taking care of the girls. 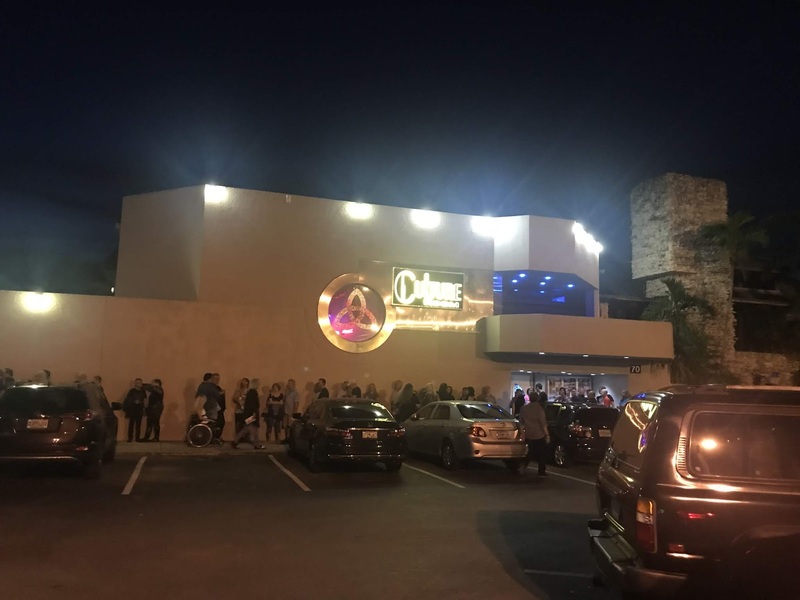 So I was quite pleased to see that the Culture Room was the kind of place I would look for when seeing a great live band in a more intimate setting.....not an arena show. Not even a 4,000 seat theater. I'm talking club feel....MFP like. The Culture Room has that great vibe. So I'm parking my car and then looking for a place to eat.....out walks Midge Ure. What a treat. I wish we could have that audio recorded but Midge expressed great enthusiasm for the audience from this tour and we did speak a bit about the movie, Dare To Be Different. I honestly didn't know that Midge had toured with and co-written songs with Thin Lizzy.....you know, the Boy's Are Back In Town. Later I met Paul Young and we had a really interesting conversation. While I was a pretty big fan....for one reason or another I never did get a chance to meet him back in the day. I was a little intimidated but Paul put me at ease right away and I really enjoyed our chat. There are parts of the exchange, much like outside with Midge that I wish we recorded. I was impressed with both men and the way they appreciate the fans and with Midge....WLIR listeners. Rock Stars, gentlemen and uniquely talented. In addition, I'm in the presence of the VOICE of Band-Aid and one of two who started the whole project! What a treat. After the interview I eagerly awaited the show I was about to see. Midge Ure is one hell of a guitarist. 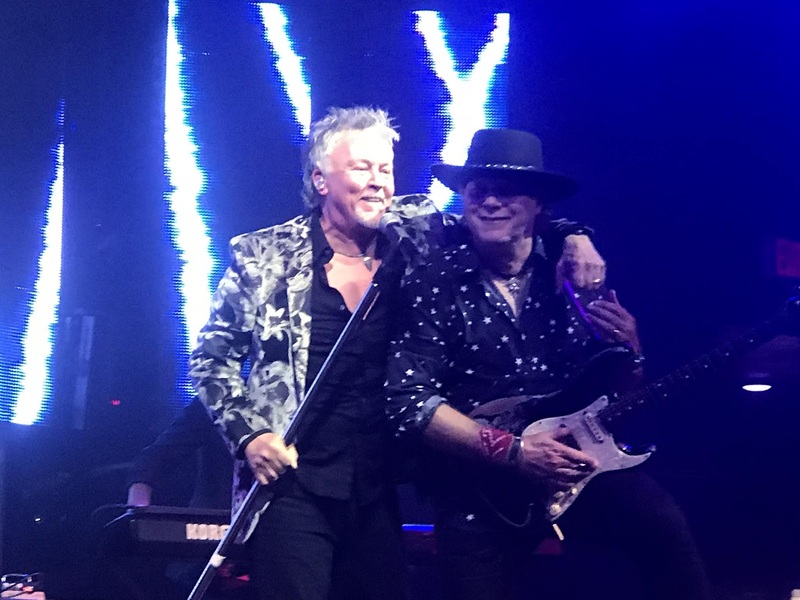 Now I understand why he was touring with Thin Lizzy here in the U.S. before reforming Ultravox and the rest is musical history. His vocals are even better than the incredible guitar playing. What a delightful treat. Paul Young came out next to the delight of the audience. It was very pleasing to hear Paul sing live again. The production wasn't like the shows from back in '85 at Jones Beach, no back up singers or dancers and yet because of the intimacy it may have been even better. I got to hear all the hits although my favorite, Everything Must Change wasn't in the set list. Paul still has that stage presence and in my opinion, that golden voice. All in all it was one hell of a night and I was very surprised to see many WLIR listeners there. One lady, Joanna was proudly wearing her WLIR shirt. Several guys came over to talk about the movie Dare To be Different. After the show, Paul and Midge came out to chat with and take pictures with the fans. I forgot to get a picture after the interview so I'm glad I stuck around. Honestly, I couldn't think of a better way to celebrate my birthday. As usual, I thought of a hundred questions I wanted to ask after the fact. I could have done a full hour with each of them. But I knew they had a show to do and then a 300 mile ride for another show in Orlando the next night. I'm quite pleased with the time they did give me. OK, enough of my stuff.....let's get to the show. Here it is. If you enjoy it half as much as I had doing this, you're going to love it! Thank you to Midge Ure and Paul Young for their time and kindness. Band Aid "Do they know it's Christmas..."